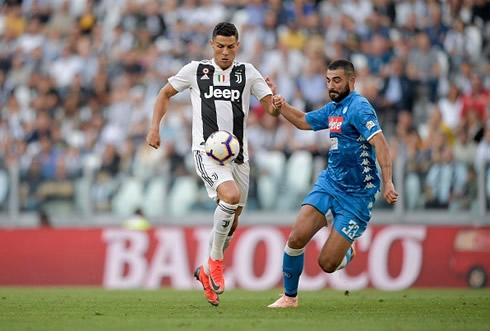 The two strongest teams in Italy clashed this Saturday evening in Turin, as Juventus and Napoli locked horns for the first time this season. The Bianconeri defeated their rivals 3-1, with two goals from Mario Mandzukic and one from Bonucci. 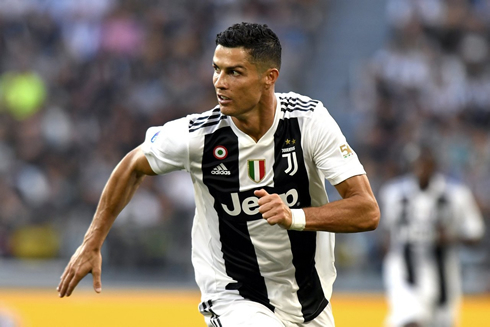 The game of the week in Italy took place this Saturday evening at the Allianz Stadium in Turin, in a highly anticipated clashh by many football enthusiasts. 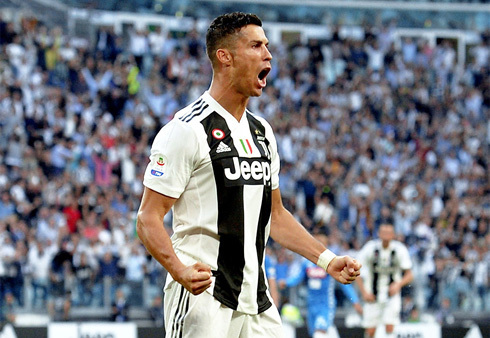 Juventus would be the team leaving the field with the 3 points tonight, after a 3-1 win against Napoli in what was probably the best overall performance from Cristiano Ronaldo in a Bianconeri shirt. The Portuguese may have not scored any goal in this game, but he contributed decisively to all 3 goals scored by the hosts and added 2 more assists to his record. Mario Mandzukic scored a brace with a goal in each half to initiate the comeback and Bonucci completed it already inside the last 15 minutes of the game. Juventus are now 6 points clear of Napoli on the top of the Serie A. The Italian champions extended their perfect record in the Serie A to 7 wins in 7 games, but there was a lot more at stake today than the 3 points collected by the Vecchia Signora. 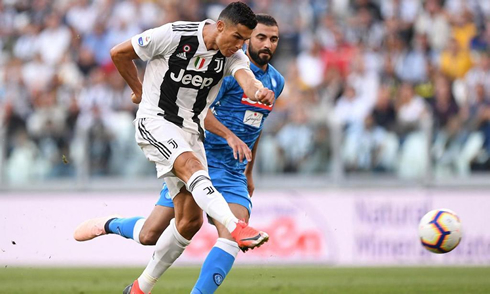 Over the last few years, Napoli have proved to be the only team in Italy capable of bringing the fight to Juventus and a victory would not only put the Neapolitans 6 points adrift of the leader, but would also send a clear message out there that Juventus are now stronger with Ronaldo in their ranks. The Portuguese star has been struggling to adapt to Italian football in his first weeks in Italy, but today we finally had a chance to see a glimpse of the Ronaldo we got used to in the past years. The 33-year old didn't look obsessed with scoring like he often does and that made a huge difference in terms of making the most from a lot more attacking plays. There was still plenty of time to reach though and Massimiliano Allegri knew how important it was to keep calm and not just rush for the equaliser. Napoli are extremely dangerous in counter-attack and a second goal from the visitors could have been a major blow to the Bianconeri. It took the Italian champions roughly 15 minutes to send the game back to square one... For a moment, Cristiano Ronaldo made us remember his younger version from Manchester United, as he destroyed his opponent's fullback before putting a perfect cross into the box that Mandzukic easily headed into the back of the net. Vintage Ronaldo right there and good finish from the Croatian! The comeback arrived shortly after the break and again it would be Ronaldo the driving force. The Portuguese foward hit the post with a powerful strike from outside the box and Mandzukic then slotted it home into an empty net to make it 2-1 for Juventus. Attackers: Dybala, Mandzukic, Cristiano Ronaldo. Cristiano Ronaldo next game for Juventus is on October 2 of 2018 against Young Boys. You can watch Juventus vs Young Boys, CSKA vs Real Madrid, Tottenham vs Barcelona, Cardiff City vs Burnley, Sassuolo vs AC Milan, and Bayern Munich vs Ajax, all matches provided from our streaming soccer game pages.